The New England Patriots have agreed to terms with placekicker Stephen Gostkowski on a four-year contract worth $17.2 million. Earlier in the offseason, the Patriots placed the franchise player tag on Gostkowski, which gave the two sides until 4 p.m. Wednesday to work out a long-term deal, which was completed just under the wire. Had a deal not been reached, Gostkowski would have remained in New England for the 2015 season at a cost of $4.5 million, and the two sides would not have been able to negotiate until the end of the 2015 season. By signing him to a long-term deal, the Patriots were able to save $314,000 this season and avoided having to pay him $5.33 million if they were to put the franchise tag on him against next season. Of course, New England also locks in one of their most important players for the next several years. New England drafted Gostkowski in 2006, when he had the task of replacing Adam Vinatieri, who left the Patriots as a Super Bowl hero and the all-time leading scorer in franchise history. In Week 15 of last season, Gostkowski passed Vinatieri to become the all-time leading scorer in Patriot’s history. He’s led the NFL in points scored four times, including each of the last three years. Gostkowski is coming off the best season statistically in his career. In 2014, he made 35 of 37 field goal attempts, a success rate of 94.6%. He was named a second-team All-Pro and was selected to the Pro Bowl for the third time in his career. 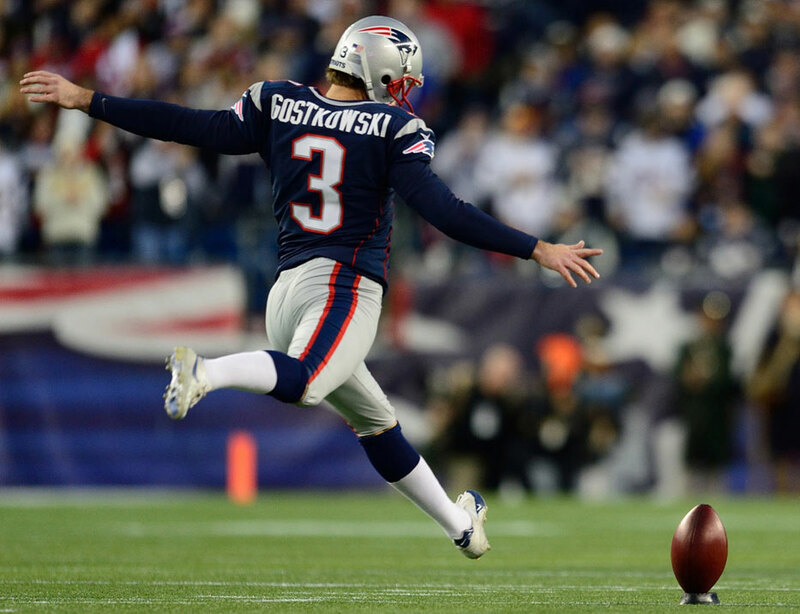 It was the third season in which Gostkowski converted at least 90% of his field goals. He has not missed an extra point since his rookie season.